Ductless Air Conditioners | Reliable Heating & Air Conditioning LTD.
A Mini Split Air Conditioner is a relatively new heating and cooling solution, ideal for installation in residential applications where there is no existing ductwork in the house. 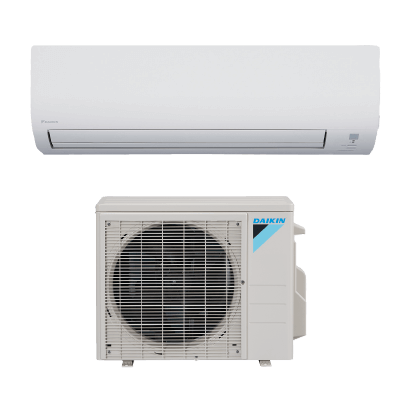 Mini Splits, like conventional central air conditioner units, consist of an outdoor ductless air conditioner unit, which houses the compressor and heat exchanger, and indoor air handling units, one in each “zone” of the home. 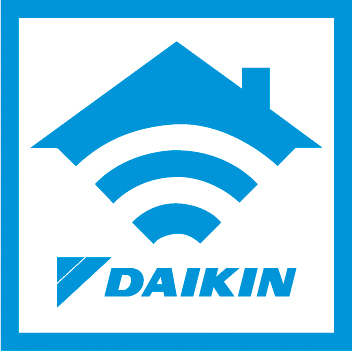 The number of indoor zones that can be supported by Mini Split Air Conditioners depends on the size of the outdoor unit. They are connected together by copper piping that’s relatively narrow in diameter, requiring a hole of only 3 to 4 inches in diameter where it enters the building. The outdoor and indoor portions of the Mini Split can be up to 50 feet apart, which means that you can heat and cool rooms at the front of the building, while locating the compressor/heat exchanger in a more unobtrusive place at the rear. A Reliable Heating and Air Conditioning service technician will help you determine the best placement for your ductless air conditioner. There are many things that make the Mini Split attractive. It’s ideal as a retrofit in older buildings that don’t have ductwork to support a conventional Central Air system, and it’s ability to be turned on or off independently in each zone means that there’s the potential for considerable savings over a whole home solution. The Mini Split is as capable a heating system as it is an air conditioner, streamlining the mechanical needs of a home. High efficiency and low operating costs are good reasons to consider a Mini Split. Reliable Heating and Air Conditioning has experience with all kinds of heating and cooling systems, including Mini Splits. We can provide service to equipment from all manufacturers. Read more about Ductless Air Conditioning in our blog. There are many things that make the Mini Split attractive. It’s ideal as a retrofit in older buildings that don’t have ductwork to support a conventional central air conditioner system, and its ability to be turned on or off independently in each zone means that there’s the potential for considerable savings over a whole home solution. The Mini Split is as capable a heating system as it is an air conditioner, streamlining the mechanical needs of a home and improving indoor air quality. High efficiency and low operating costs are good reasons to consider a Mini Split ductless air conditioner. Reliable Heating and Air Conditioning has experience providing air conditioning repair, service and maintenance for all kinds of heating and cooling systems, including Mini Split Air Conditioners. We can provide service to equipment from all manufacturers.